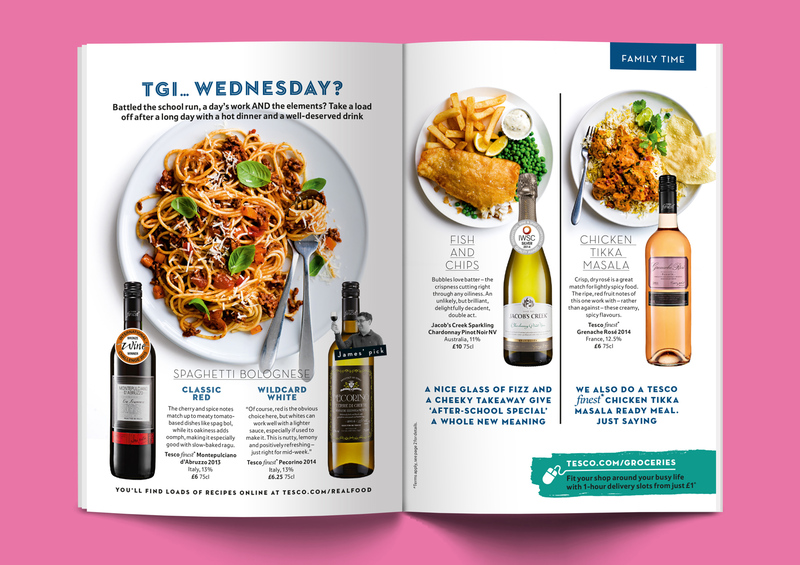 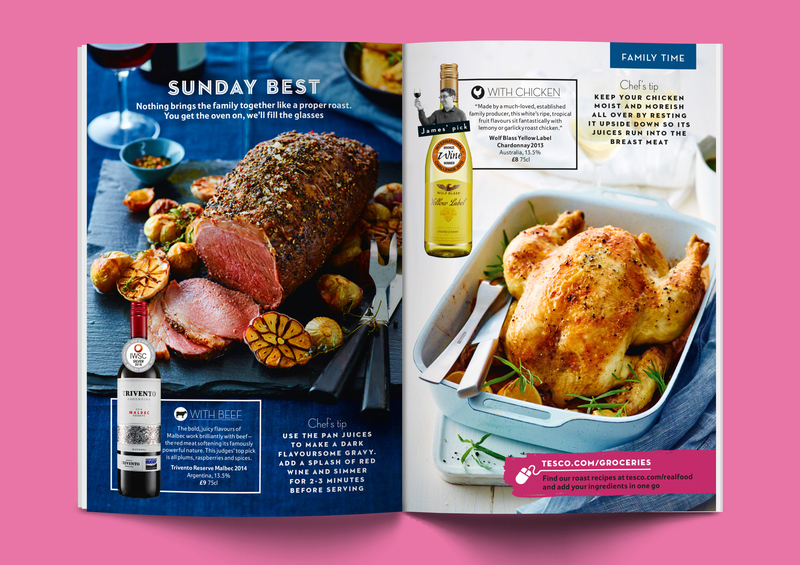 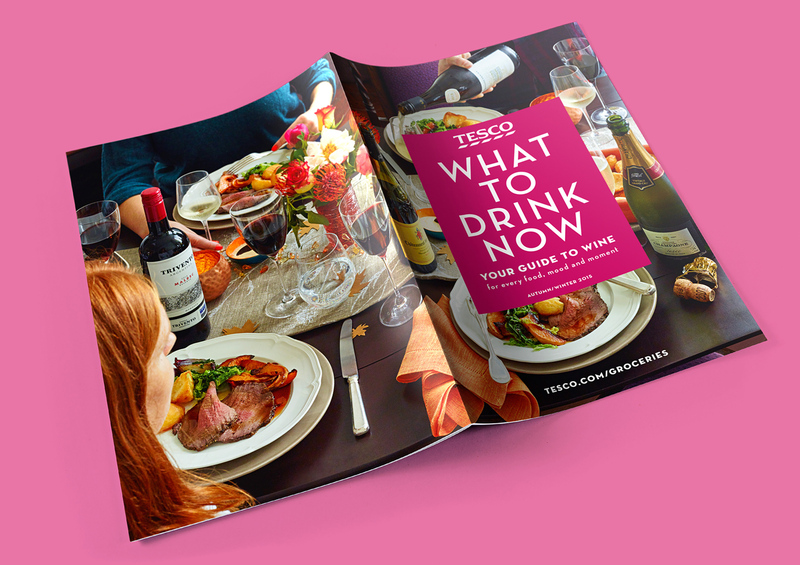 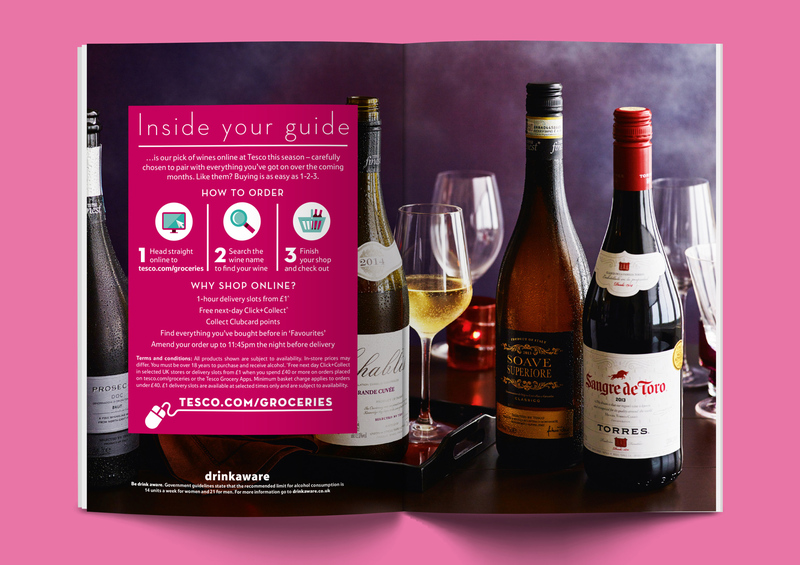 Briefed to come up with an entirely new direct mail magazine to reflect Tesco’s new sales strategy myself and an editor conceptualised and produced What To Drink Now. 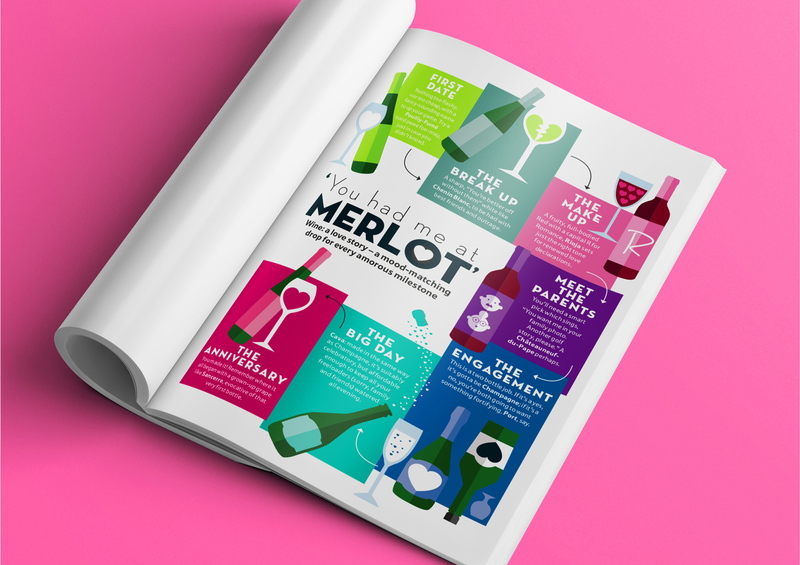 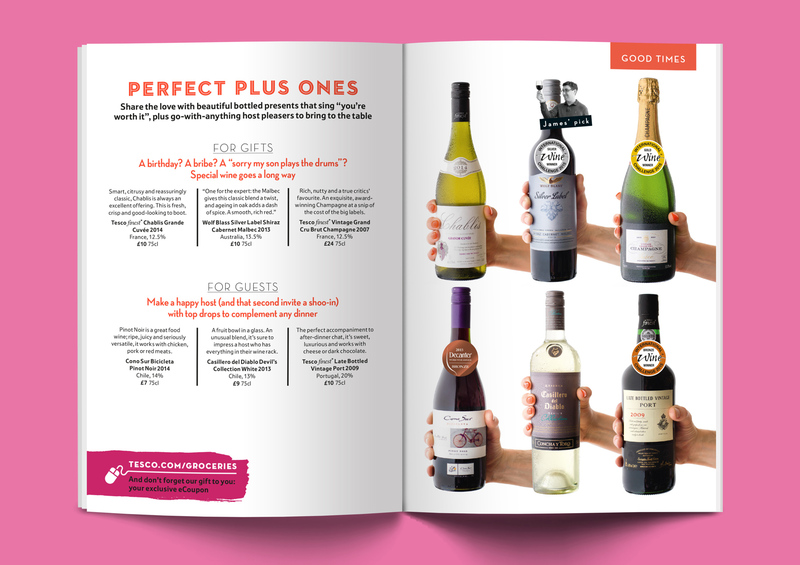 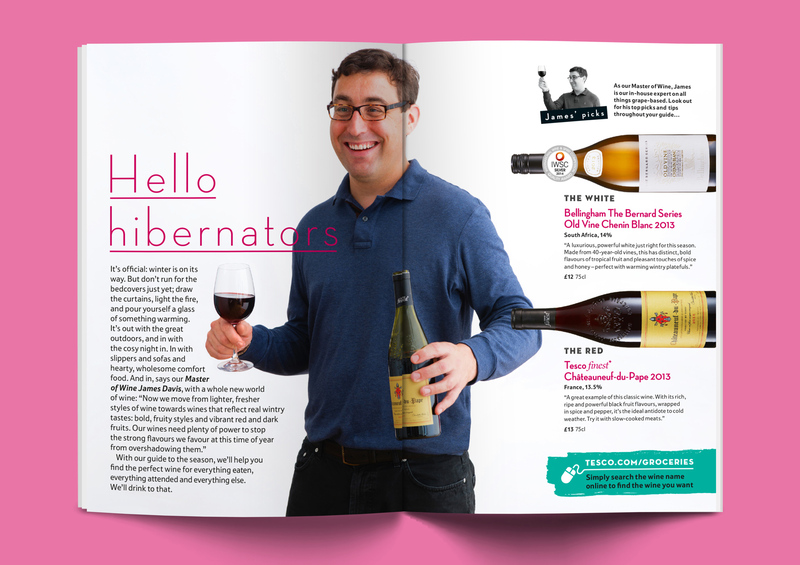 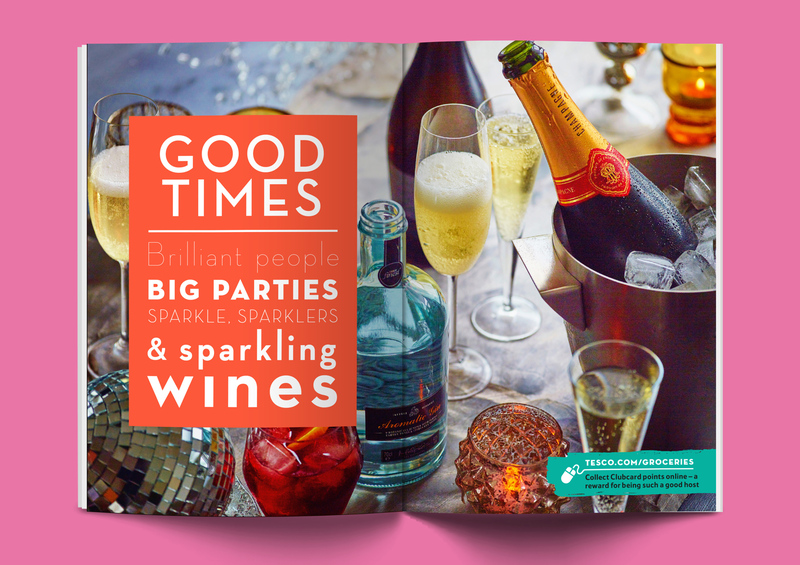 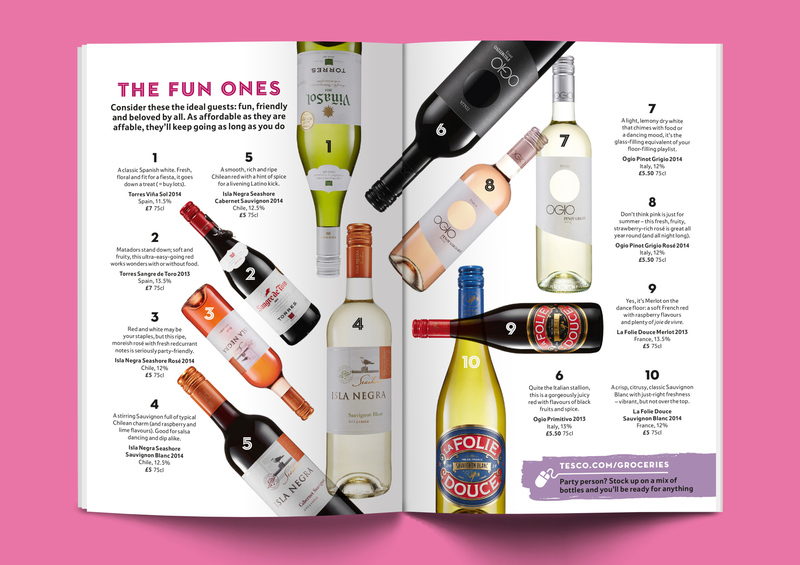 Moving away from stuffy terminology and endless bottle line-ups, we developed a light-hearted publication to demystify and contextualise wine. 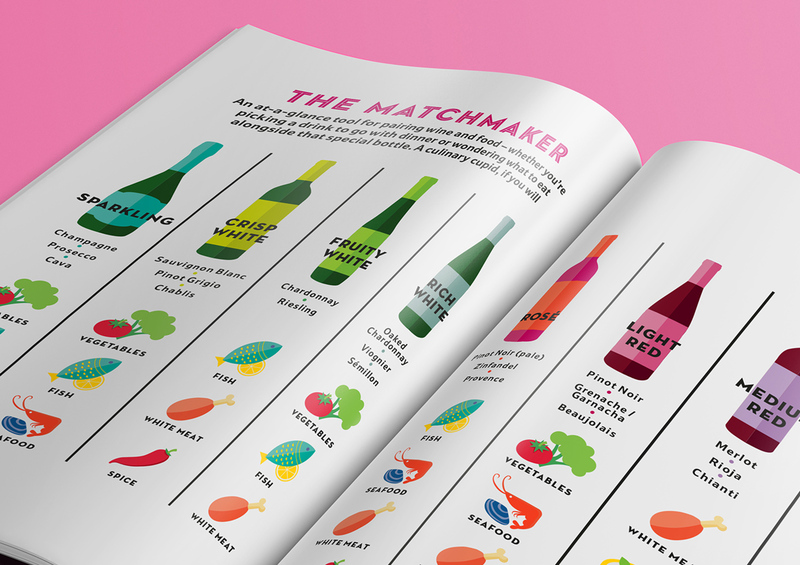 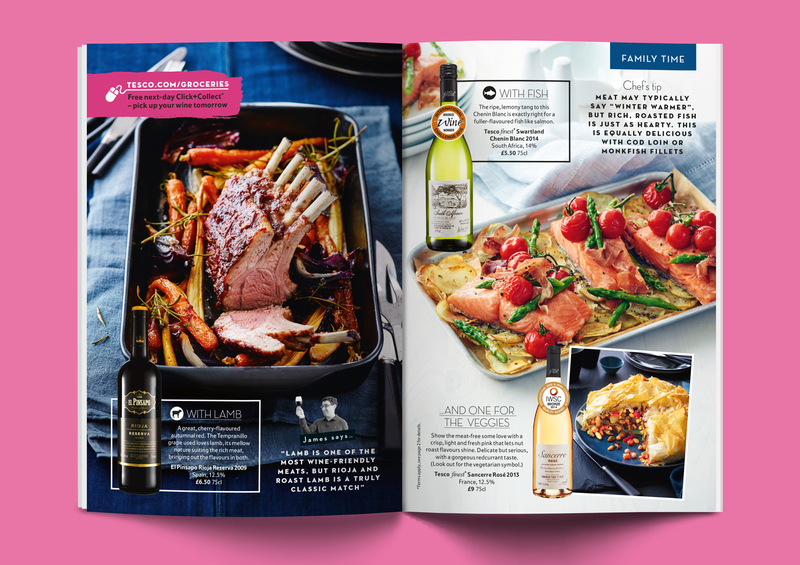 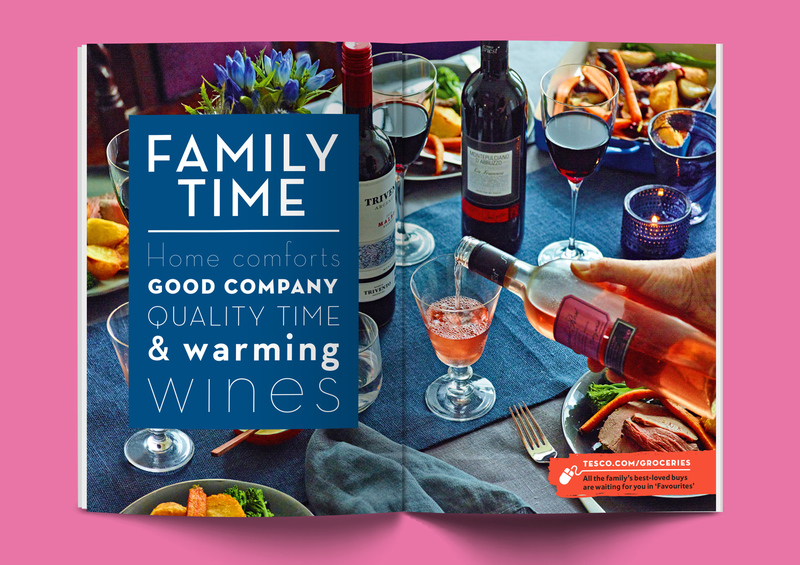 To entice everyday wine buyers, I used infographics, punchy typography and a bold autumnal colour palette. 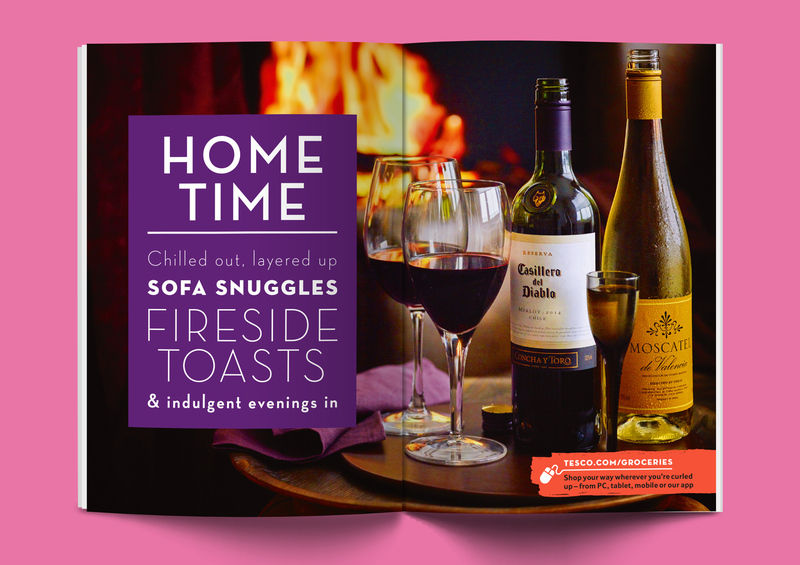 Photography was food-focussed and homely, evoking cosy nights in and celebrations with friends and family.